Thomas Street was born February 26, 1909 in Waco. Judge E.C. Street, his father, named the boy after his grandfather who had been a judge as well. Tom would go on to be the only man to serve as Master of Waco 92 whose father once performed the same task. Brother Tom received his education in the Waco Public schools and at Baylor where he received his Law degree in 1936. 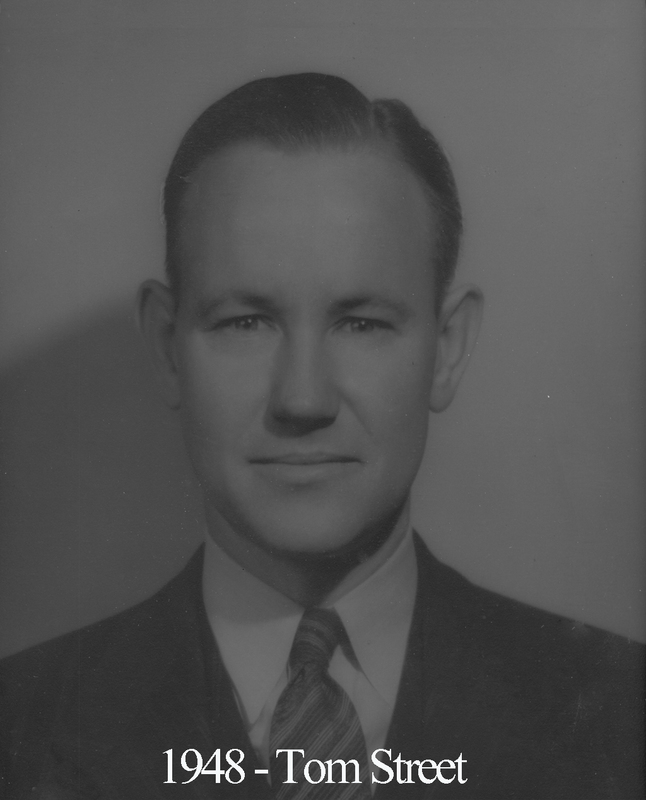 He was admitted to the Bar in Waco in 1936, but from 1942 to 1946 was employed as a Special Agent by the F.B.I. Upon returning to Waco, he established a law practice with his father, a local legend in law circles, as his partner until the latter’s retirement in 1958. A noteworthy development in Street’s law career began in 1955. Local religious leader Victor Houteff passed away and left a small fortune collected by himself as the head of church at the court’s discretion. His wife claimed a deathbed appointment of herself to vice-presidency and the court gave her ownership. She promptly declared her late husband’s beliefs to be bogus and sold off 864 acres owned by the church over several years and then moved back home to California. Before doing so however, she entrusted 77 acres to her lawyer, Tom Street, as payment for his services. 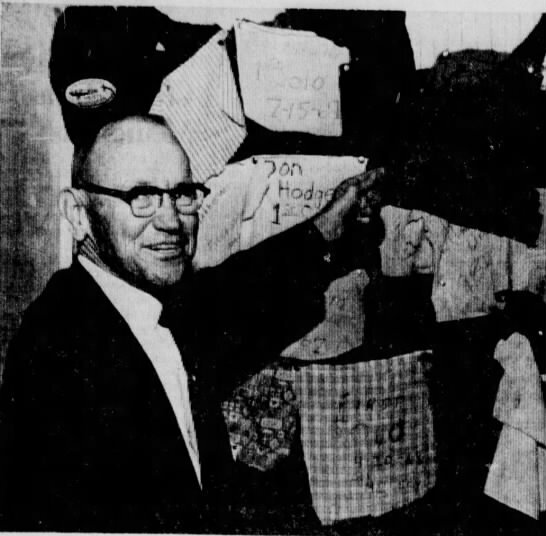 The church members protested the sale of any of the nearly 1000 aces, claiming it belonged to the church, until the issue went to court in 1966. They sued the former leader’s widow and Street for rights to the land and only achieved a small victory. The judge ordered Street to sell his portion and give the proceeds to the church but the previous sale and proceeds would remain with the widow. Eventually, a new leader of the church, David Koresh, would emerge and fuel the fire created by the lack of trust the church members had in the legal system. He also successfully re-acquired most of the land that was originally theirs and essentially restored the local religious sect to its former prestige. Tom Street’s role in the story was over but the tension between that sect and the government would only grow until the infamous siege at their Branch-Davidian Complex in the 1990s. He was a member of the Board of Stewards of Austin Avenue Methodist Church, the Texas Bar Assn., and the Central Texas Rifle and Pistol Club. It was sometimes said that it was unfair for him to win so many of the Rifle and Pistol contests because the “FBI had trained him up.” In fact, Street rarely came in second. One news article read “If Tom Street’s rifle doesn’t cool off by Thursday night, the other contestants can save themselves the time of loading up.” Brother Tom was also known to be quite the prankster and though he would never admit it, he was usually to blame when a stray armadillo or snake would pop up out of one of his friend’s desks on various floors of the building where he kept his law office. He also once set up a desk and office space for a rooster he claimed to have had admitted to the Bar. When his friends came seeking legal advice, he directed them to his new feathery partner. Another friend said Street made a habit of wiring firecrackers to ignitions in friends’ vehicles. After reading an article in Popular Science Magazine some time in the 1960s, Tom Street developed a passion for flight. He began taking lessons just a day after reading the article and eventually earned his wings. As he was getting ready to fly solo for the first time, his instructor noticed Street’s apprehension and decided to test him. The instructor pulled back the throttle and asked the new pilot, “Mr. Street, you just lost your engine. What do you do next?” The long-time prankster immediately quipped, “I’d grab the radio and tell the tower to notify my next of kin.” Shortly thereafter, Street made his first solo flight and then began flying on trips to visit and travel with his wife and grandchildren. Bro. Street was not the only FBI agent to pass between Waco 92’s pillars. I bet he and Bro. Buck Buchanan shared some good stories when at lodge together.